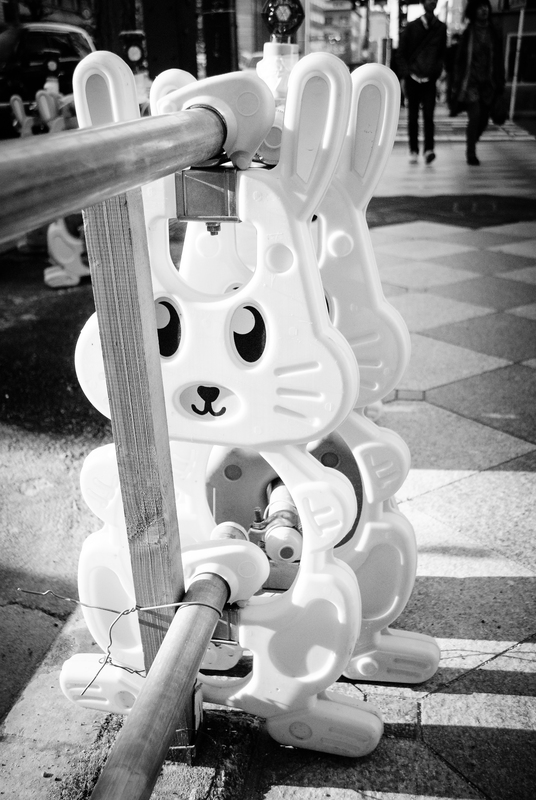 In Japan, scaffolding and building work comes with cute animals attached. Big eyed bunnies warn you to watch out for maintenance and winking frogs for Mc Donald’s cups (apparently its not good for our health). I think these are adorable, and one of the aspects I would miss if I ever went back home 😛 Must be great ways for parents to distract their kids while waiting at road-works. I really like them too! You’ve got some great pictures. Really love the tanabata ones. I also see you went to the bride in Iwakuni. Do you live near there? I live in Hikone, Shiga – but we’ve been down to Kyushu a few times and visited the Kintai bridge on the way. Do you live in Yamaguchi? I like in Haig, Yamaguchi. So not too far from the bridge. Hagi is a very cool place if you ever get the chance go. Its an old Samurai town and it has a beautiful beach for the summer.